A quick and simple yet nice wallpaper I made on GIMP. I have been watching Hakuouki Shinsengumi Kita lately and my fave character is Okita-san! <3 He really has beauty to his character and that's I'm trying to show with this wallpaper. Oh...it's nice wallpaper,thanks for sharing. 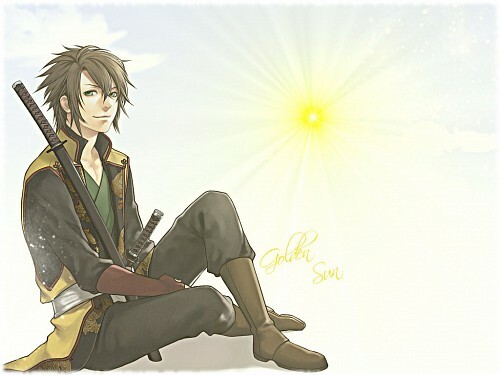 okita looks so cute...well he IS cute!